…if we want to compete on the world stage as well as we’ve competed in the world’s games, we need to find common ground. We need to move past the bickering and the game-playing that holds us back and blocks progress for the American people. The Health Care Summit seemed to verify that the “process” can use strong mediation. Perhaps the President should be more involved in the framing of key issues that are beneficial to the country and will in time define his/her own presidency. Pundits described the summit as either an exercise with benefits for the President, or a huge waste of time for the Republicans. Both, and, perhaps. But for some critics, they had special affection for describing the event as “Kabuki Theater.” I guess they like the syncopated rhythm on the tip of their tongue like a precocious child who’s learned their first three syllable word. I’ve seen The Grand Kabuki here the in the United States. Kabuki evolved from the ground up. It was the theater of the merchant class in Japan. Though the early Kabuki (around the 17th century) was more music and dance in the beginning, audiences craved something more. Kabuki dramas focus on justice, duty, revenge, and moral conflicts. Perhaps our aristocratic pundits would rather not to associate with the classes that enjoy Kabuki Theater. In fact, I wonder whose side are any and all television pundits are on as they chuckle and lean back in their chairs while passing the ball on whether health care reform will pass, the public option is dead or on life support, and the front runners of the 2012 Presidential election cycle less than 18 months into a new administration. There are times when I think these pundits could use some Kabuki drama. Read the recap by Jackie Trescott on the WashingtonPost.com. Or just go to the video. The Health Care Summit at Blair House (across from the White House) is now in session. I’m listening on C-Span Radio. The WH video feed has a 2-3 second delay. C-Span on-line is 2-3 seconds ahead of the their radio feed. 🙂 Since I have work to do at the desktop, I’ll take the audio. The Hummer has been banished to Retro-World. And the kingdom rejoiced. Government supported General Motors is shelving the Hummer after a failure to land a sale with heavy equipment maker Sichuan Tengzhong Heavy Industrial Machines Co. in China. What does China know that we don’t? Hummer sales reached their peak in 2003 with over 30,000 sold, then steadily dropped off after 2005. In 2009 they sold under 2,000. The Hummer site is still up and running with 2009 models for sale. Word was this was the most inefficient, gas guzzler on the road – 7 miles to the gallon. It was a symbol of American ego to have money to burn in your gas tank. A Hybrid version was proposed a few years ago, but I guess that’s shelved too. 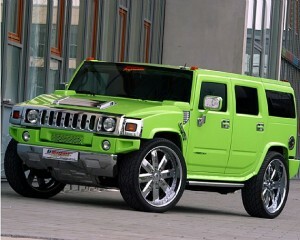 For me Hummer’s were the most obnoxious vehicles on the road especially in cities. Sure, they fit in lanes in LA and maybe Houston, but they took up 1 1/4 lanes in more dense urban terrain. There was never that much room in them to be a family vehicle. And I always wondered if they were covers for other inadequacies. Hummers were based on the Humvee military vehicles from the Gulf War. Legend has it that action movie star (now Cali governor) Arnold Schwartzenegger suggested the consumer version in 1992. Jeep made a successful transition from military (World War II) to civilian use (1950s) even though the shocks can sometimes make you think you’re on some kind of crazy amusement park ride. But I suppose that has been the charm of the Jeep, especially when it came to climbing over things. I never saw any charm in the Hummer. Case in point – the first big DC snow ball fight at 14th & U. Could this be the final narrative of the Hummer. Or will it be “size mattered”? What will Virginia be without the arts and humanities? Both the Virginia Commission on the Arts and the Virginia Foundation for the Humanities have been put on the chopping block by the state’s Appropriations Committee of the House of Delegates. On February 21 the Appropriations Committee of the House of Delegates voted, 15-7, to cut state funding for the Virginia Commission for the Arts by 50 percent in 2010-11 and to eliminate the agency completely as of July 1, 2011. The Senate Finance Committee has adopted the proposal in the budget bill submitted by Governor Kaine not to make further cuts in state funding for the Commission for the Arts. There will be votes on the House and Senate floors later this week on the proposals from the two committees. The different versions of the 2010-12 budget bill approved by the two house of the General Assembly then go to a Budget Conference Committee to resolve the differences. 1. Contact your representatives in the General Assembly, both Delegates and Senators (fax and phone calls best), protesting the recommendation of the House Appropriations Committee. Legislator contact information can be found on the web here. 2. Write a letter to the editor of your local newspapers with the same message. These actions must be taken in as soon as possible (at least by end of the week) in order to have any impact on the final decisions on the state budget. * The House Appropriations Committee, on a divided vote, has made a short-sighted decision about state funding of the arts, proposing a 50 percent reduction in state funding for the Virginia Commission for the Arts in the first year of the new biennium, and eliminating the agency completely in the second year. * The arts community recognizes the severity of the budget problems facing state government and expects to share in the budget cuts and has already been cut by 30 percent over the last two years. * However, every dollar that the state invests in the arts through the Commission returns $7 in investment by private citizens, businesses, and local governments. * The Commission made matching grants to Virginia local governments of half a million in FY 2009-2010 to support festivals and programs generating tourism and attracting business and cultural activity throughout the state. * The Commission is funded at the lowest per capita level among state agencies of surrounding states. * Elimination of the Commission would also mean the loss of Federal funds for arts in Virginia ($1 million in FY 2009-2010). * The arts contribute to the economic vitality of Virginia communities. Localities such as South Boston, Richmond, Lynchburg, Blacksburg, Alexandria, and Petersburg are using the arts as a lynchpin for attracting business and economic development. * Artists and arts organizations work in Virginia schools to expand educational opportunities for children so important to developing a creative workforce. The arts have stepped in to meet cultural education needs of our children where these programs are being cut in the schools. Funds provided by the Virginia Commission for the arts often represent the only opportunity for children in rural areas to be exposed to arts and culture. * The arts provide jobs, and cultural tourism as an important part of Virginia tourism promotion efforts. * Over the past two years the arts have faced large spending cuts, cancellations of performances, staff layoffs, and galleries closing. Minimizing further cuts in state arts funding is essential to the survival of Virginia’s cultural infrastructure. CUTS OF THE MAGNITUDE BEING PROPOSED WOULD CAUSE ARTS ORGANIZATIONS, BOTH LARGE AND SMALL, TO CLOSE THEIR DOORS throughout the Virginia. * We urge you to vote against the proposal of the House Appropriations Committee. The small investment the state makes in the arts has a major impact on local economic development, tourism, and education. Thank you for your essential support! Action by our advocates will make all the difference! Virginia Foundation for the Humanities Please Act Now! Because you are a friend of the VIRGINIA FOUNDATION FOR THE HUMANITIES, VFH ASKS FOR YOUR HELP! Over the weekend, the House Appropriations Committee voted to cut state funding for VFH by $290,000, effective July 1, 2010, and to eliminate all state funding for VFH, effective July 1, 2011. The Senate Finance Committee recommended cutting the VFH budget by $290,000 effective July 1, 2010, but recommended no further cuts. Each House will vote on its own budget on February 25, and the difference in the two budgets will be resolved in conference committee. VFH has already experienced deep cuts, in the last two budget years, adversely affecting every VFH program. Additional cuts will undermine such well-known educational programs as the Virginia Festival of the Book, Encyclopedia Virginia, VFH Grants and Fellowships, With Good Reason Radio programs; African American, Virginia Indian, and Virginia Folklife Programs. • Call, fax, or email your Delegates and Senators to protest additional cuts to advocate for continued funding. You can find your legislators’ contact information here. • Be personal. Talk about your involvement and commitment to the VFH. • Forward this request to your boards, membership, and address book. • Post a comment on your Facebook or other social networking site, asking that other Virginians contact their legislators as well. • Write a post on your personal blog stating how you feel about these budget cuts. • Email or call your local news outlets to express your dismay and describe the effect of such cuts. • VFH funding and programs increase the attractiveness of the state as a tourism destination by assisting museums and cultural sites to provide excellent visitor experiences. • VFH Grants support organizations and communities important to you and your representatives. • VFH increases the attractiveness of communities to new businesses. • VFH builds the educational capacity of Virginia’s teachers by providing resources and professional development opportunities. • VFH provides financial and professional development support to Virginia’s museums, building community social capital and pride. • VFH Leverages state funds with cash and in-kind matches. • VFH promotes a vigorous exchange of ideas, and is a leader in modeling civil public dialogue. Radio shows like With Good Reason improve our understanding of the issues we face as a Commonwealth and a nation. 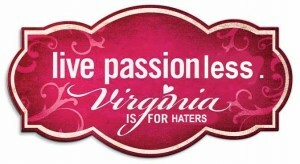 The Virginia Festival of the Book is a nationally recognized model of public discussion. Now more than ever, our situation requires that we approach public policy with an understanding of the past, a willingness to confront issues of the present, and a commitment to shaping a more promising future. Click here for additional information on how VFH programs contribute to the economic and educational vitality of the Commonwealth.